Your kitchen is getting hotter and hotter and your head chef is sweating like a marathon runner. Summer is coming soon and it is not going to get any cooler. What do you do? You need to call a professional to check your exhaust fan and duct. You could have something stuck in your duct but the most likely problem is that you need kitchen exhaust fan repair work performed. We can check your kitchen exhaust fan and let you know what the problem is and usually fix the problem quick and economically. You would be surprised how many people sweat all year long they don't call for their restaurant, church, daycare, school or other cooking facility to have a professional company come out and do kitchen exhaust fan repairs and other exhaust, hood and duct, and ventilation repairs. Call us to day at (347) 912-0836 and we will come out and take a look at your kitchen exhaust and hood and duct and diagnose your excess heat in the kitchen situation. 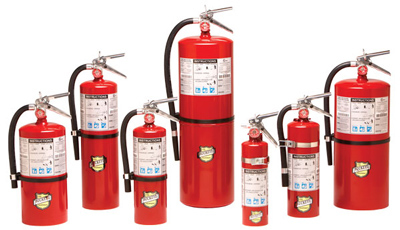 We carry almost any type of fire extinguisher product or service you need.